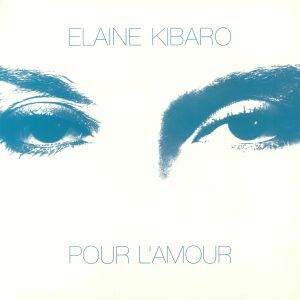 Elaine KIBARO Pour L Amour vinyl at Juno Records. 5. "Le Long De Fleuve Amour"
7. "De L'Autre Cote Du Miroir"
Emotional Rescue is delighted to offer this compilation of music from Elaine Kibaro and her particular coalesce of chanson, folk, balearic and touch of disco, all encased in her strong French and North African roots. The music included here, released between 1979 to 1989, is an expression of her development, of music changes matching growth in life, conveyed through her emotions in song. Opening with the spoken word Introduction from her debut album, "Mirrors" and the folk rock of melodies of Le Reveil from the 1981 follow up, Au Soleil, her early works are characterised by band, orchestra and choirs complimenting her voice as one. This is further heard on the mystical Sorciere, psyche percussion of Secret, the marching Le Guerrier and the inclusion her first "hit" with Aurore, appearing her in all it's extended, off-kilter guitar meets organ form. 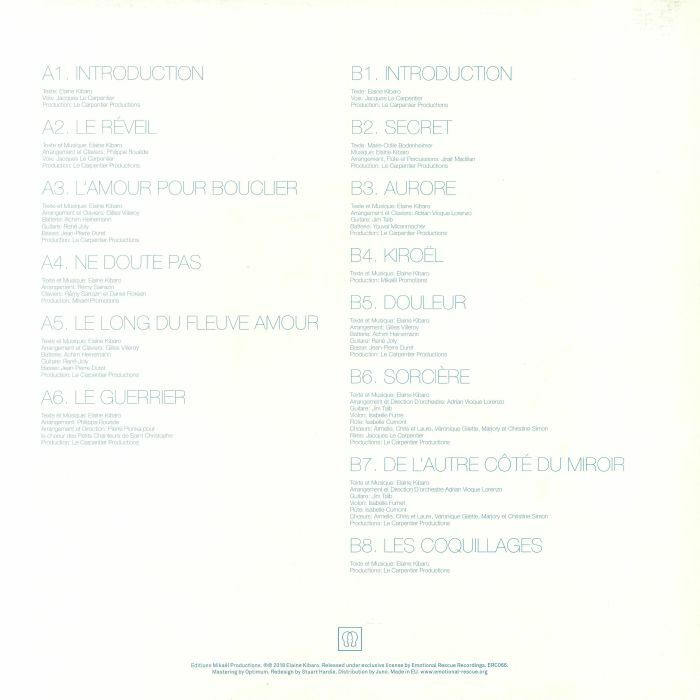 Exploring sensitivity and desires the compilation matches these earlier folk and world inspired songs with her move towards electronic production that accompanied a return some 4 years later, adding balearic and even pop dance found on 1985's Le Long De Fleuve Amour and the following 1989 opus, in Kiroel. L'Amour Pour Bouclier and Ne Doute Pas lift her music higher towards lovers' heights, with word, melody, and rhythm giving the desire to dance and be free, while her continuing exploration of chanson and spoken word takes on new meanings via the new wave meets estoric Douleur, while the emotionally charged soundscape of Kiroel brings balance. Inspired by the purity of song, Kibaro's music's has a timeless essence to behold; a voice and words found through life experience - beauty, discovery, nature and dreams. A love and hope in music, her quest for the infinite potential in song.